In the weekends it is great if the breakfast is a little extra delicious. Almost every weekend we make some fresh bread which we eat for breakfast both Saturday and Sunday. This recipe we have on this page is one of the many recipes we use as breakfast in the weekends. In Denmark, it is pretty common to serve buns for breakfast. 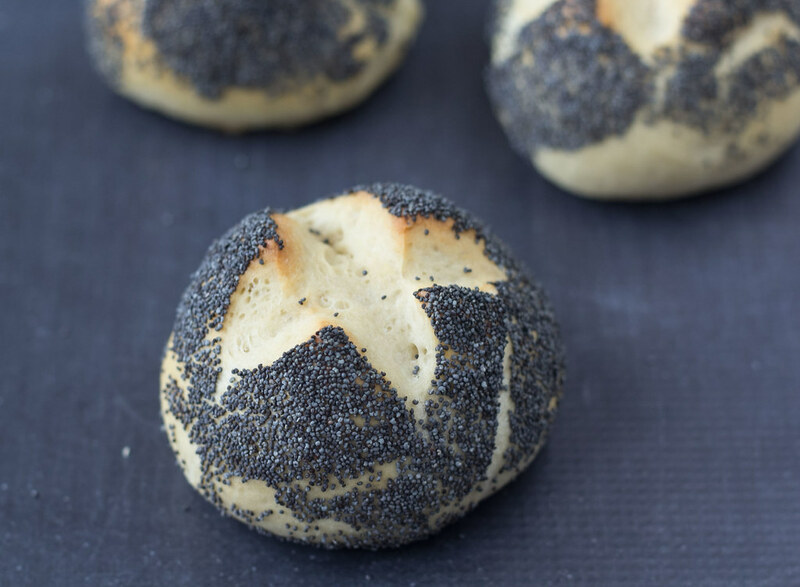 A typical Danish breakfast bun is very crisp and normally called a Rundstykke, which can roughly be translated to a round piece. 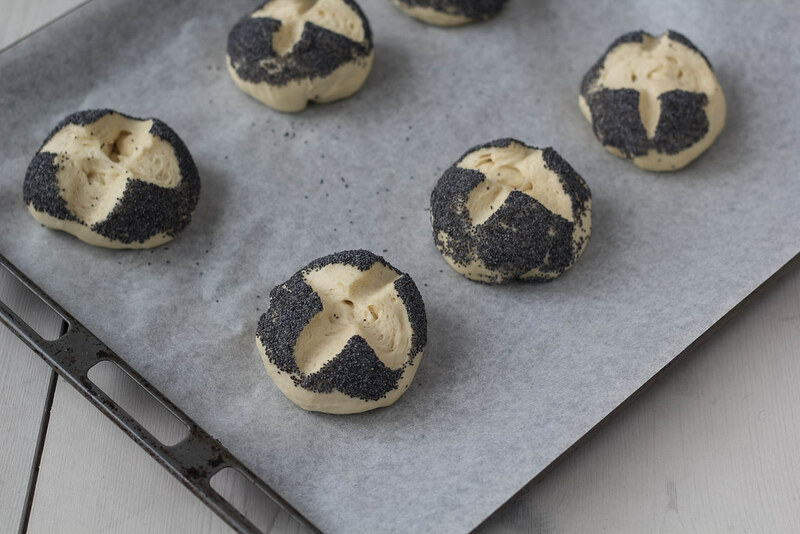 This recipe is a typical Rundstykke where this particular variant, with the poppy seeds, is called a møllehjul which translated means a mill wheel. 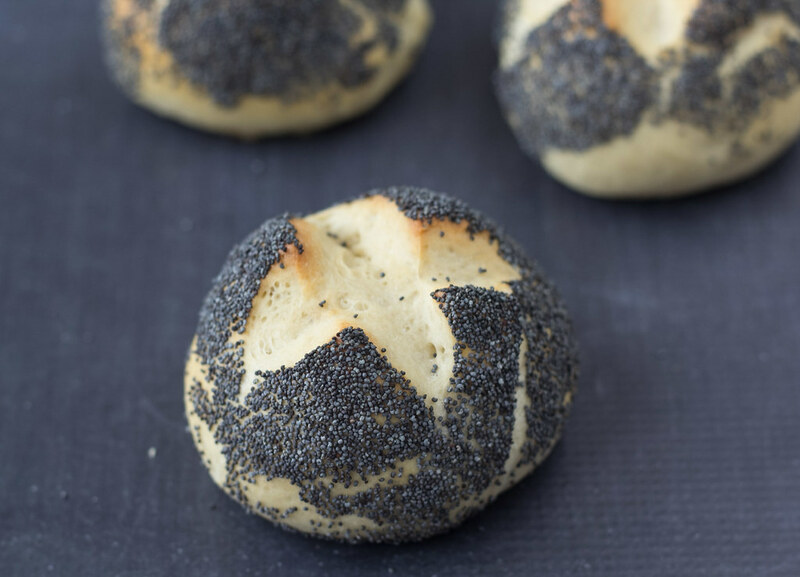 The reason for this name is properly because of the way the buns are cut on the top – with good imagination the buns could look like a mill wheel. 1. Melt the butter in a sauce pan or in your microwave oven; set aside. 2. Use a sauce pan or microwave; Heat the milk so it is lukewarm. 4. Add salt and sugar, stir until it is completely dissolved. 5. Add the melted and cooled butter. 6. 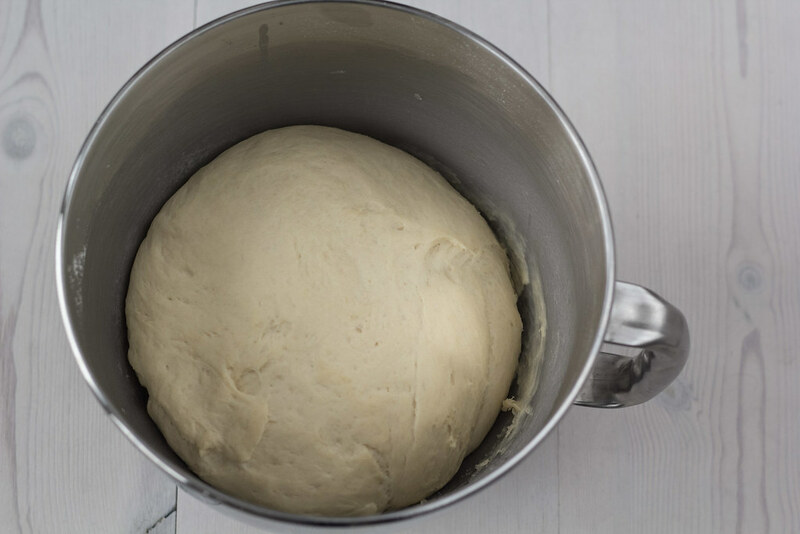 Add the all-purpose flour step-wise and knead well. The amount for flour depends on the quality of the flour. 7. 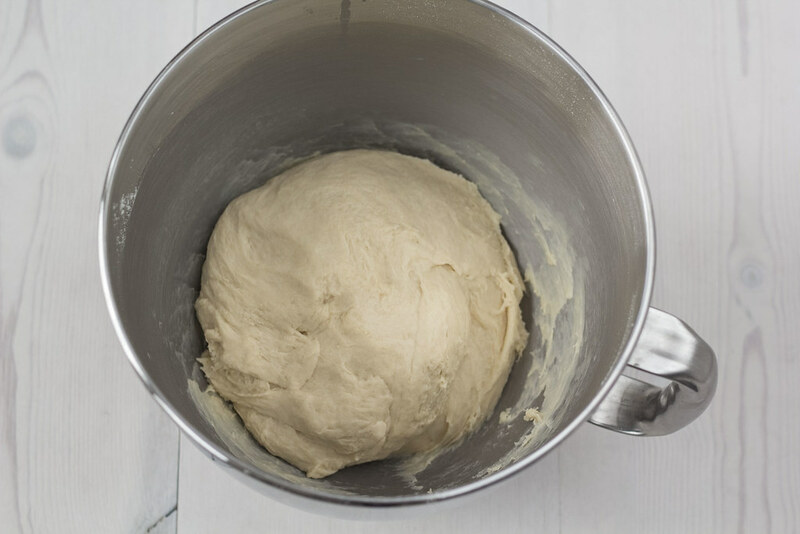 Leave the dough in a bowl and cover it with a clean tea towel. Set aside for rising for about 30 minutes. 8. 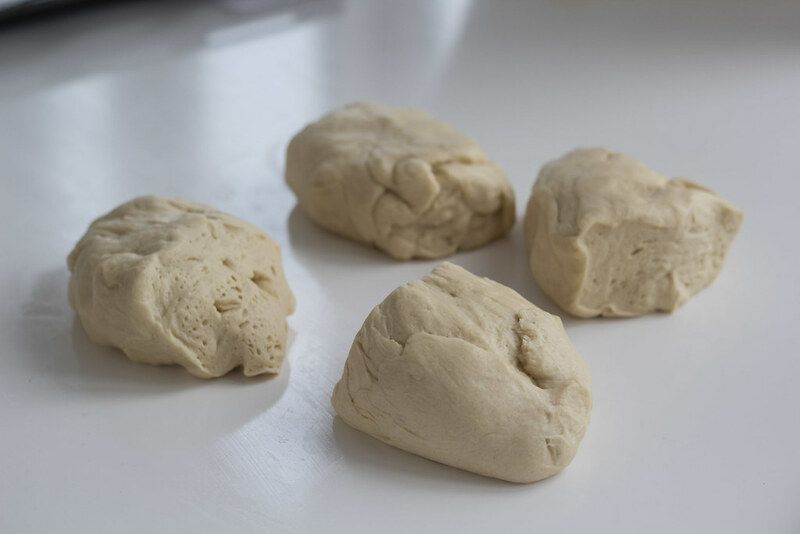 Divide the dough into 12 buns. 9. Beat an egg and brush the buns with it. 10. 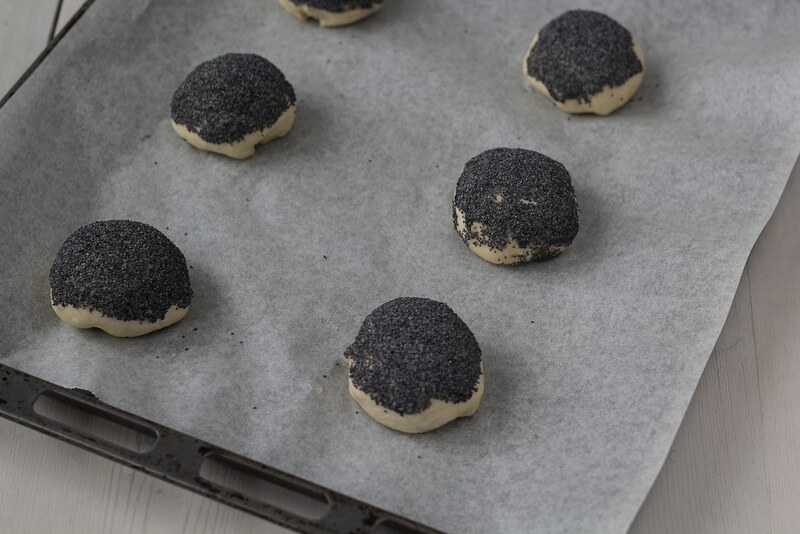 Pour some blue poppy seeds on a plate and gently press the egg brushed sides of the buns down into the seeds. 11. 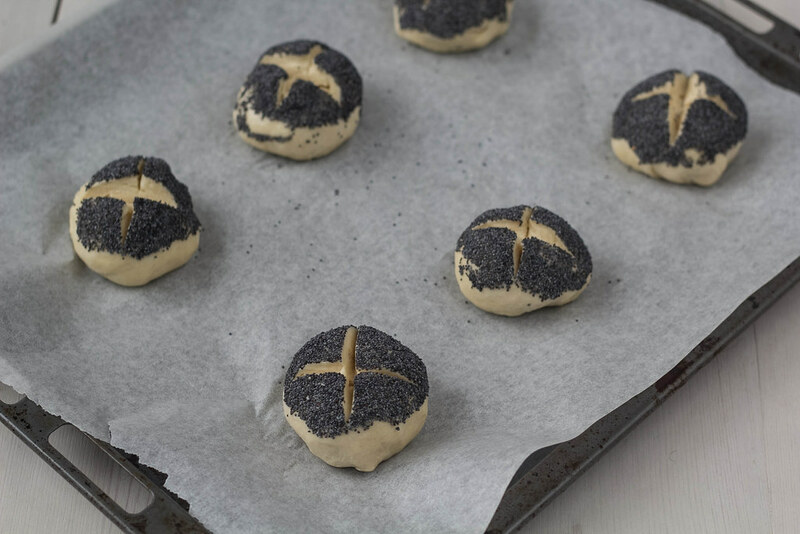 Using a sharp knife; cut a cross in the top of the buns. The cut should only scratch the surface. 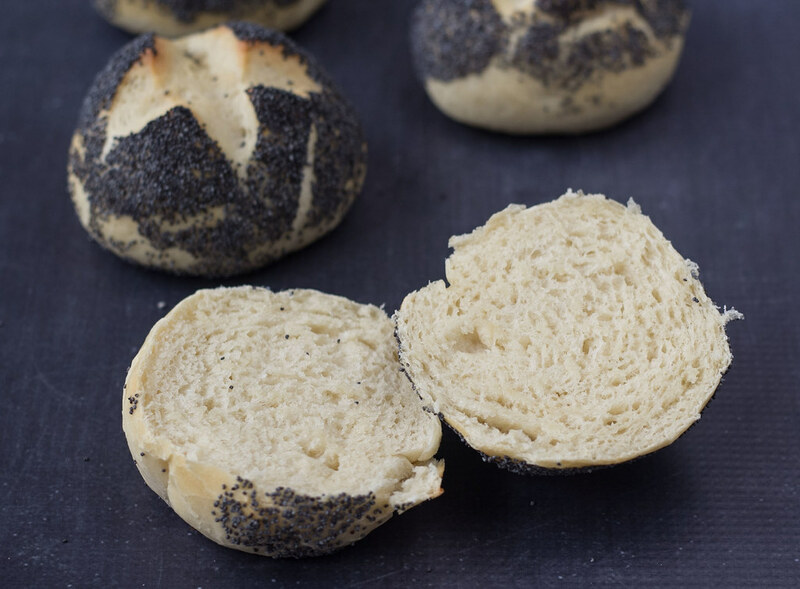 A too deep cut will make the buns open up to much during baking. 12. 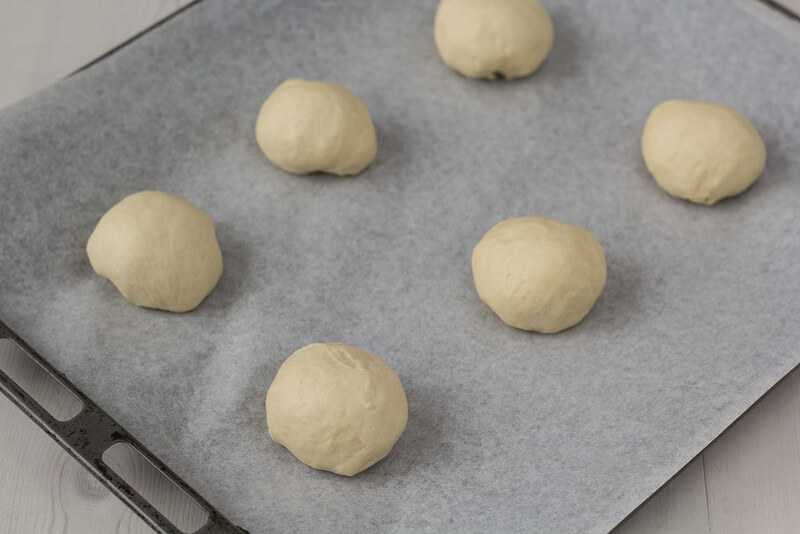 Place the buns on a parchment paper covered oven tray. 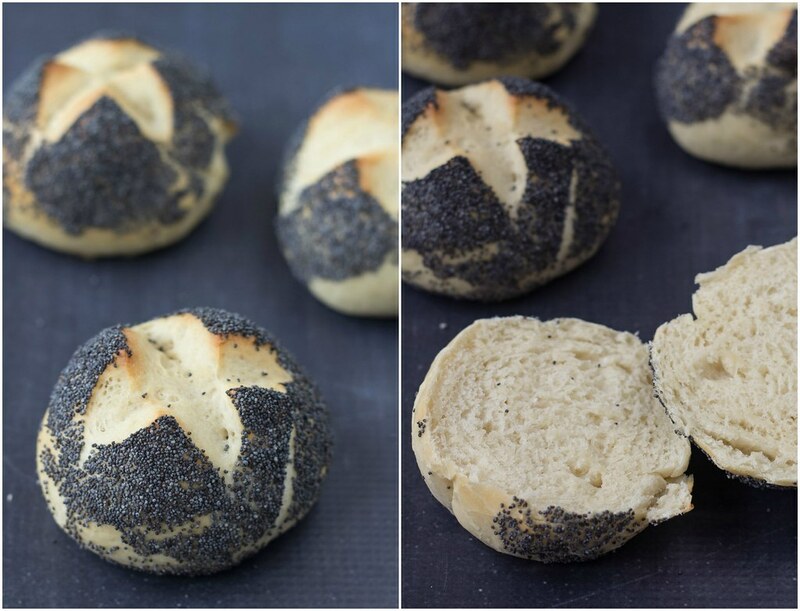 Cover the buns with plastic wrap or similar and then a tea towel. 13. Leave the buns to rise some place warm for about 30 minutes. 14. Bake the buns at 200 C (400 F) for about 10-12 minutes or until they are nice and golden. Going to surprise my mom with these on her birthday. I can remember walking to the corner bakery and getting them every morning while visiting in Denmark. Eating these with some butter and havarti cheese is divine. Any chance you have a recipe for mackerel in tomato sauce like you can buy in the can over there? Going to need some when I make your rye bread later. Thanks for all the great recipes. I’m sure your mom will be so happy! Sorry, I don’t have a recipe for mackerel in tomato sauce. Maybe I can make that one day. Hi. When I’m saying 25g yeast it fresh yeast. 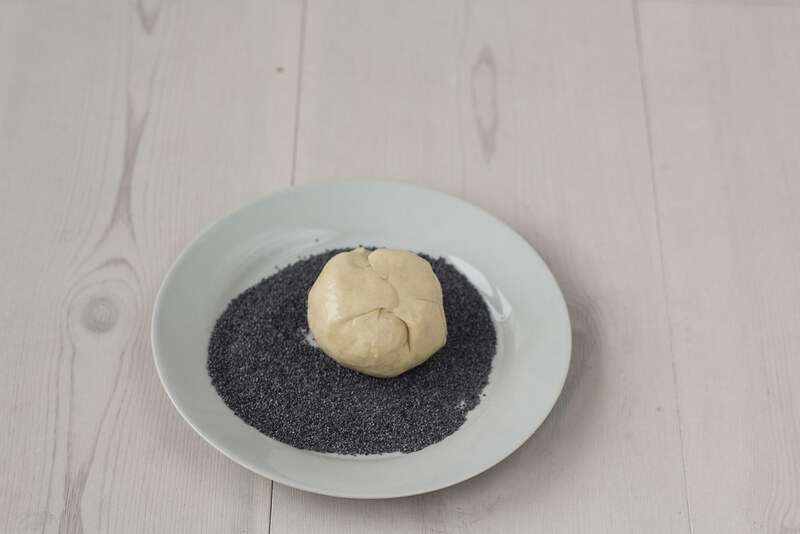 Actually I’m not that familiar using dry yeast as all groceries in Denmark have fresh yeast for almost nothing. I guess there is a recipe on the packaging of the dry yeast? Miss the supermarkets every day.